IQS Directory provides an extensive list of metal powder part manufacturers and suppliers. Utilize our website to review and source metal powder part manufactures with our easy-to-use features which allow you to locate metal powder part companies that will design, engineer, and manufacture metal powder parts for your exact specifications. Our request for quote forms make it easy to connect with leading metal powder part manufacturers. View company profiles, website links, locations, phone number, product videos, customer reviews, product specific news articles and other production information. We are a leading manufacturer directory who will connect you with the right manufacturers whether you are looking for metal parts, aluminum powder metal parts, or iron powder parts. 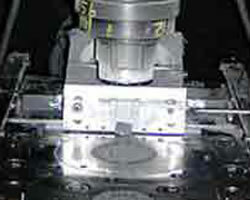 We specialize in producing high volume parts with extreme precision. We manufacture cams, bearings, fasteners, sprockets, lavers, brackets, and many other distinguished shapes that are difficult to manufacture. We have been providing excellent quality powdered metal since opening our doors in 1962. Our products serve in many applications and we work with a myriad of metals, including soft magnetics. We are committed to providing our customers with the best metal powder parts! Here at Comtec, we produce powder metal parts from ferrous and nonferrous materials in a wide range of complex shapes, and achieve optimum quality in the process. Our staff of designers and engineers make it their goal to approach every project with creativity and innovation, and they are available to answer any inquiries along the way. For a complete list of our products and capabilities, visit our website. We believe is essential in providing customers with the best possible service. At Webster-Hoff, we stay true to this belief by working with a broad range of materials and cutting-edge equipment. We work with materials ranging from iron to copper to stainless steel. Our presses are capable of low, medium, and high volume production, and our sintering machines are capable of precise atmosphere control and accelerated cooling. Contact us today to learn more! We have made it our mission to approach every project with a collaborative attitude. Whether you have a fully formed concept or just an idea, our team of expert engineers will help you every step of the way. Catalus Corporation’s metal powder parts are utilized in many different industries including aerospace, appliances, electronics, medical equipment, auto related transportation and many others. To learn more, visit our website today! When it comes to metal powder parts, we have the experience that you can count on! We have a complete state of the art plant that we use for pressing, sintering, heat/steam treating, as well as many other purposes in order to keep a short time frame between design and delivery. We will work side by side with you in order to come up with a custom product to fit your needs. Get in touch with our customer service staff by phone or email today! Metal powder is used in the powder metallurgy process to make solid metal products. During this process, the solid metal material is reduced to individual particles, or powder, through one of many processes. Metal powder can be made from many different materials, including aluminum, copper, bronze, nickel, brass, steel, stainless steel, nickel and titanium. Metal powder is the starting product for the process of powder metallurgy in which solid metal products are fabricated. Metals such as aluminum, copper, bronze, nickel, crass, steel, stainless steel, titanium and more are all commonly used to make metal powder. In addition, alloy powders can be created from a combination of these elemental materials. There are a number of methods by which powdered metal can be created, some of the most common of which include atomization, chemical precipitation, centrifugal disintegration and hydrogen reduction. Atomization, the most frequently used method, separates molten, or liquid, metal into tiny separate beads which are then frozen into a solid form of powder. Centrifugal disintegration uses a rotating electrode and metal rod within a chamber. The resulting force melts droplets off the metal which solidify and form a powder. Grinding and chemical reactions are also commonly used to formulate a metal powder from a solid metal piece. Once a metal has been deconstructed into powder form, it is then able to be used to fabricate products through the process of powder metallurgy. Widely used in applications such as automobile components, structural parts, filtration systems and magnetic assemblies, metal powder and powder metallurgical construction are important elements of manufacturing. Powder metallurgy, for which metal powder is required, has many advantages as a fabrication method. It is a simple method that consists of mixing the metal powder, compacting it into a die and then sintering, or heating, the die to form a solid shape. The powder is melted, fusing it together and causing it to bond in the shape of the die. The result is a solid metal part, also know as a sintered metal part. Powder metallurgy, or PM, is a cost effective fabrication process as it results in minimal waste. Other types of metal fabrication processes result in products that need a lot of secondary finishing, or result in lots of scrap metal pieces. Powder metallurgy however uses the metal powders conservatively and the pieces do not require excessive finishing. 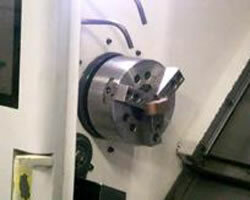 The process is able to achieve close finish tolerances with both simple and complex shape requirements. Natural finishes on most metals are also suitable and therefore extra heating and finishing is not often required. If solid metal parts do undergo further heat treatment, this will add to their strength and level of wear resistance. High purity powders should be used for the best results in terms of metal density and smooth finish.